Anders Grudén has served as Syncron’s CEO since 2004 and has overall responsibility for the company’s global strategy, organization, culture, and operations. Under Mr. Grudén’s direction, the company has expanded globally to serve its growing list of market-leading customers that rely on Syncron to maximize the performance of their after-sales service operations. Prior to Syncron, Mr. Grudén served in executive roles with Accenture Strategic Services, where he assisted senior executives of large, multinational manufacturing companies to take full advantage of their global market coverage. Mr. Grudén has also worked as a Managing Director for Investor AB, one of the largest financial institutions in the Nordics, investing in companies with innovative technologies. 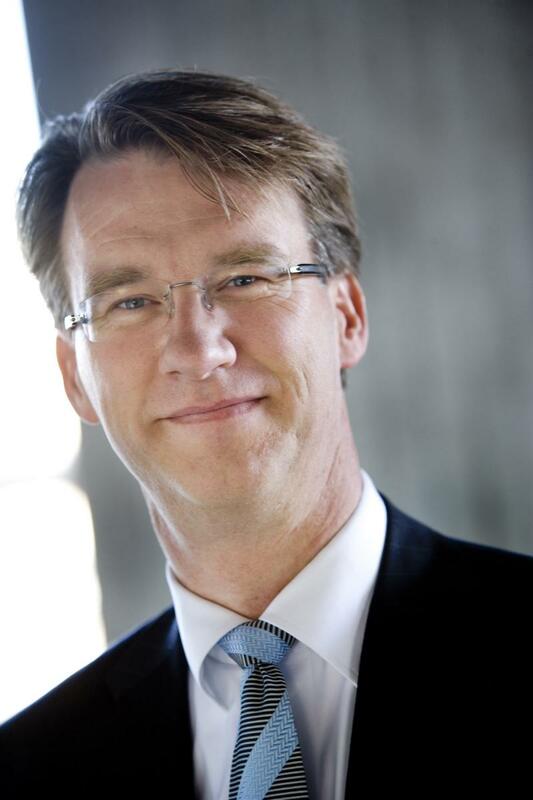 Mr. Grudén is a member of the Board of ABG Sundal Collier A/S, the leading investment bank in the Nordic region. Anders Grudén holds two degrees: a Master of Science in Industrial Engineering & Management; and a Bachelor of Science in Economics & Business Administration. TP is a Strategy Advisor helping Small and Medium Sized Enterprises in the Middle East and Africa Region on Business Planning, Business Process Improvement, Strategic Alliances, Design Thinking and Business Excellence. TP is associated with various Business Excellence Programmes as Senior Assessor/Judge. TP is a passionate Teacher and is teaching Finance and Management related subjects in various Universities and Business Schools. Ferit Yucel Demirtas is responsible for Business Development and Client Relations in Marketing, HR and Health departments of Magnet20, which has a number of advertising and marketing awards, serving national and international brands. Ahmed is an Engineering graduate, and MBA educated, results oriented leader with a strong technical background and exceptional relationship building capabilities. His interpersonal management skills, analytic approach and problem solving talent have been key to the success of various business initiatives mostly in contentious areas that include winning mega IT managed services deals (>100m $), work migration, offshore service delivery and technology implementation projects spanning Applications, Infrastructure, Information Security, Mobility and other areas. Currently and over the past few years, Ahmed has been part of the leadership team of an IT Managed Service Provider assuming multiple roles, including Chief Operations Officer (Acting) and Director of Key Accounts providing services to major government accounts in the UAE, serving over 9,000 IT users, catering for all IT requirements including operations and projects. The annual volume of IT services delivered by Ahmed’s teams reached US$ 25m, and the headcount involved has exceeded 400 IT professionals covering all aspects of IT Service Management. Previously, Ahmed was part of a 7 person leadership team that grew EDS (HP) Egypt from 60 to above 400 information engineers saving above US$ 15 m annually. He was also part of a 3 person team that lead the first off-shore to off-shore (India / Egypt) work migration in EDS for which a formal success story was published. Then, he was seconded as an ex-pat to the 2nd largest global account in the UK as an off-shore strategy lead / security lead. James is CEO of Opinium Research and whilst leading a fast growing research and insight agency, continues to work closely with clients from a variety of sectors in the UK and around the world. Opinium is an award winning strategic insight agency built on the belief that in a world of uncertainty and complexity, success depends on the ability to stay on the pulse of what people think, feel and do. Creative and inquisitive, we are passionate about empowering our clients to make the decisions that matter. Dr. Habib Holds the position of Undersecretary General, Operations and Financial Affairs at Jordan Engineers Association since 2017. He was the Undersecretary General for Professional Development and Scientific Affairs and Director of the Engineers Training Center from 2014 till 2017. He was the Assistant Director General Chief Capacity Management Officer at the Istishari Hospital in Amman, Jordan from 2010 till 2014. He was Acting Dean of engineering, Director of the Nanotechnology Program and associate Professor of Electronics at Princess Sumaya University. He worked as a technical consultant to a number of engineering firms in the area of Speech, Imaging, IT and Biomedical Engineering. Dr. Habib published over 100 publications and articles in peer reviewed Journals and international conferences. He was the Vice President of the IEEE Jordan Chapter from 2011-2013. Dr. Habib was the Chair and the Co-chair for a number of International Conferences in the area of Electrical and Electronics Engineering. He is actively involved in a number of community service committees including Rakhaa’ Noble Invest, ELO (English Language Olympics), JEA Consulting Committee, and more.He holds M.A.SC and Ph.D. in Medical Electronics from Dalhousie University, Canada. He is a senior member of IEEE and is awarded the rank of Consultant Engineer in Biomedical Engineering by JEA. Dr. Corinne Jenni is the president and CEO of Strategati LLC, a strategy and management consulting company. Her background is in international commodity trading and shipping and teaching in the MBA program at United States University in San Diego, USA. She received her DBA in Strategic Management from Alliant International University in 2015 and since, has authored/co-authored several articles and book chapters on strategic management, executive behavior, management capabilities and small business management. She serves on the Editorial Board of two academic journals, is an active member in various professional associations (AOM, WAM, USASE, IMC USA) and the local chamber of commerce, and volunteers as a mentor and workshop presenter for SCORE. Dr. Nezar has experience across various sectors ranging from governmental, hotels, resorts, schools and educational institutes, to software and construction and manufacturing. During his experience in the management and training sector, he has engaged in a comprehensive approach to assess processes issues in projects through certifying those companies against ISO 14001:2015 and ISO 18001:2007 standards. The focus was on the management system, also the human factor was considered with the adaptation and training especially labors in the ground. Tackling their needs and improving their working environment increased productivity, reduced work injuries and increased their happiness. Dr. Nezar is currently working as a Marketing Director also Management Consultant at Canadian Consultant Center where he enjoy blending his prior experience with human behavior on the field with Consultancy that can together serve the public needs through success channels. A Senior Program Manager, Coach and Author, Rich Kay originally hails from New York. Feeling the call, Rich then journeyed overseas to serve in U.S. Marines later achieving a commission as a U.S. Naval Officer. After his military service, Rich led programs as a Project Management Professional in information technology for Perot Systems, a dot.com start-up, SBA designated businesses, the U.S. Mint and Unisys Corporation. As his career progressed, unfortunately so did his waist size which ultimately exceeded his age once he passed 45! He then led his most important project to get healthy. Shedding over 100 pounds and sharing his story in his best seller book “Small Simple Changes to Weight Loss and Weight Management”, Rich inspires others to achieve their personal transformation. 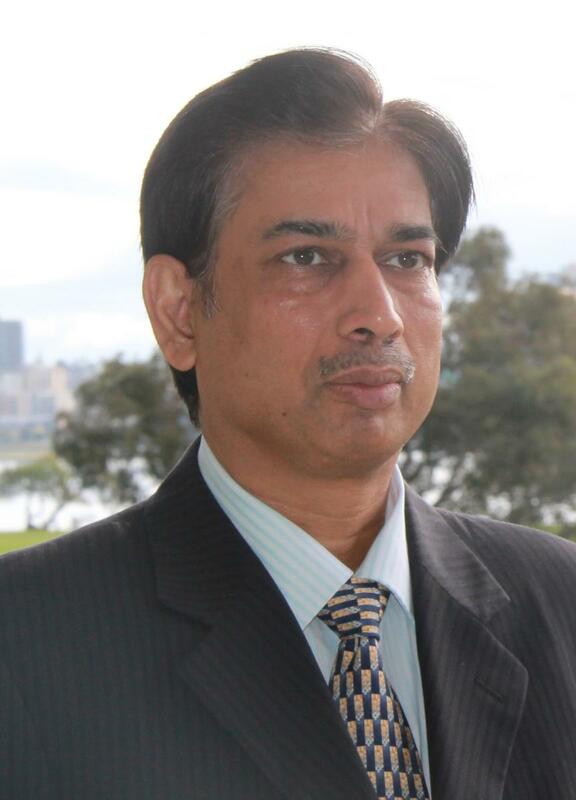 Sunil is a global executive with over three decades of diversified global business experience in India and Australia. He takes the big picture view without losing sight of details, utilizing experience that spans diverse industries including natural resources, chemicals, steel, and cement. Sunil has a proven track record of driving transformational change and delivering consistent superior performance through diligently driving multiple change initiatives simultaneously. In his last three positions in Australia and India, he energized and motivated the teams of professionals to successfully embrace new challenges, unleash potential, take calculated risks, and innovate for continuous improvement. Ben Larkey, Principal/Consultant, BAL Associates, has almost 40 years of corporate responsibility, sustainability and compliance experience. Successes include a wide variety of sectors: retail management/customer service, government, NGO, consulting, operating compost facilities and managing global/ Fortune 500 environmental departments that support risk management, business development optimal resource use (teams, supply chain; zero waste; energy conservation and renewables; water) and continual improvement. Proactive, creative achievements with organizational development; planning; management of complex programs / teams and facility operations; metrics / reporting; training; public relations & marketing; research & development; and cost reduction. He is also a multi-instrument musician and family caregiver. I have amassed a wealth of experience across multiple departments, including Operations, Compliance and Account Management in my current company. I work closely with multi-regional as well as global clients. I am a client advocate and truly champion best practices across businesses, striving to improve relationships and foster inter-departmental collaboration. Aradhya Malhotra is an award-winning Social Entrepreneur with a passion to create, lead and advise disruptive startups that create meaningful impact. Arad features on the Global Forbes '30 under 30' list for Games. He is the co-founder of Skyless Game Studios, an organization developing immersive video games to drive social impact through training and engagement. Arad has been internationally covered in Forbes, VentureBeat, Huffington Post etc and has spoken at multiple forums including the UN, the International Anti-Corruption Conference, UPenn etc. The US government has granted Arad the O1A 'Genius' visa for "Individuals with Extraordinary Ability or Achievement" (reserved for the top 1% of global experts in their field). Pradeep is a Senior Business Manager with Capital One. During his time with the company, he has been responsible for executing numerous risk programs and initiatives that have enterprise-wide impacts. In this role, he analyzes risk and production performance data to determine any risk trends, and designs processes to help mitigate risks. Prior to joining Capital One, Pradeep had six years of experience in technology consulting, with a focus on clients in Banking and Capital Markets. In this role, he worked with a major credit card company in the United States to lead the development and implementation of an Identity and Access Management platform for the client. Rajesh Kumar Mudiakal is a Senior SAP Project Manager with Ernst & Young, Malaysia. He has an overall Experience of 20 years in areas like IT Project Management. He has been a Commonwealth Scholar and has expertise in areas like IT Project Management, Strategy Consulting and SAP Consulting. Dr. My Nguyen finished his PhD from California School of Mangement and Leadership in San Diego, in 2016 for two years, and continued his job as CFO of Stephan Corporation, Garden Grove, CA. After one year, he transferred to Zephyr Investment LLC – DBA Westwind Intercontinent and, along with his partner, opened their own start-up, Dr. Anemoi Corporation. Bhavika Parikh is a Director, in the US Energy Investment Banking group at RBC Capital Markets. She has 12+ years of Investment Banking experience and has completed over 75+ M&A and financing transactions in the Oil and Gas, Power and Industrials sectors. She has significant cross-border transaction experience and has executed capital markets and advisory transaction in over 15 countries. Prior to joining RBC, Bhavika held various roles at other bulge bracket investment banks including HSBC and Citigroup. She has an MBA and a Masters in Accounting and Finance from the University of Mumbai. Received Stevie Award as part of High Performance team across 26 NE colleges awarding a common A.A.S. degree to Verizon Technicians as Principal Investigator for100 million dollar twenty year grant involving CWA and IBEW unions.